Can you log in using the incognito mode? Can you log in on app.sheetgo.com? Can you log in on the add-on sidebar? Can you log in on either app.sheetgo.com or the add-on sidebar using another email account? Can you log in using Chrome? Can you log in using Safari? Can you log in using Firefox? 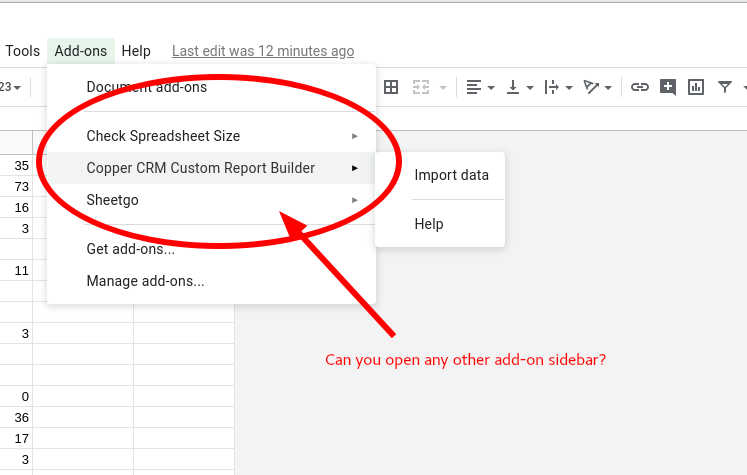 Can you open any other Google Sheets add-on? Responding to these questions is of great help!